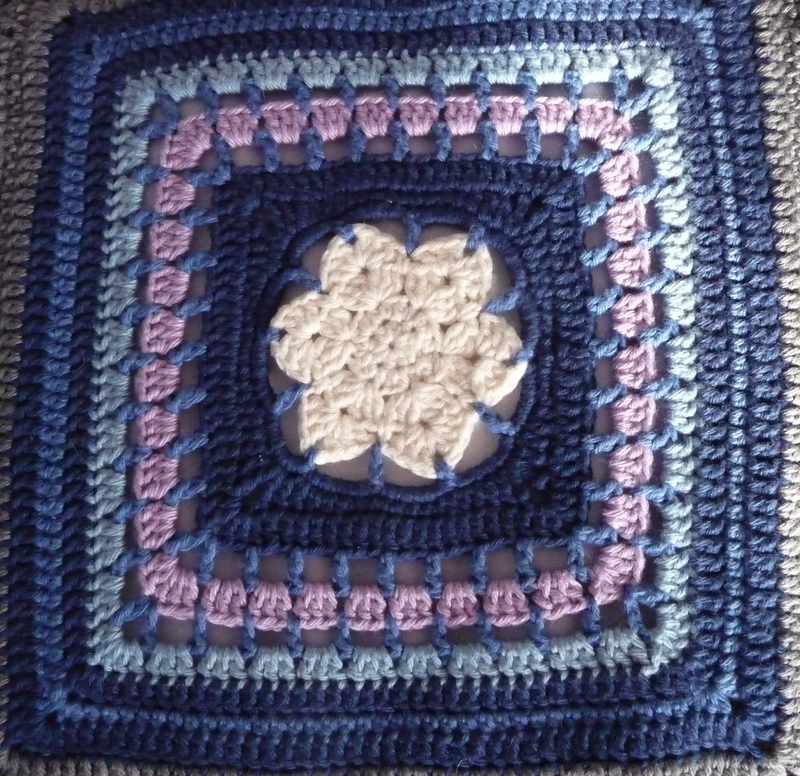 Sorry for taking so long, but here is another Wedding Wednesday block. 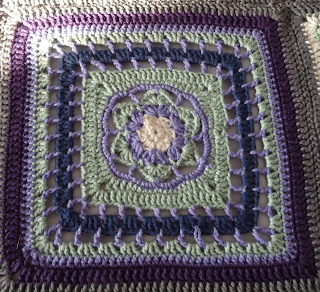 This was another easy square, I didn't have any problem with it, but that might be because this Cal has a step by step photo guide as well as telling us how many stitches are in each row and how many of the different stitches are in any row. I think all good patterns should have that, it makes for easy spotting your mistake and fixing it faster. Here is *Kio's square. 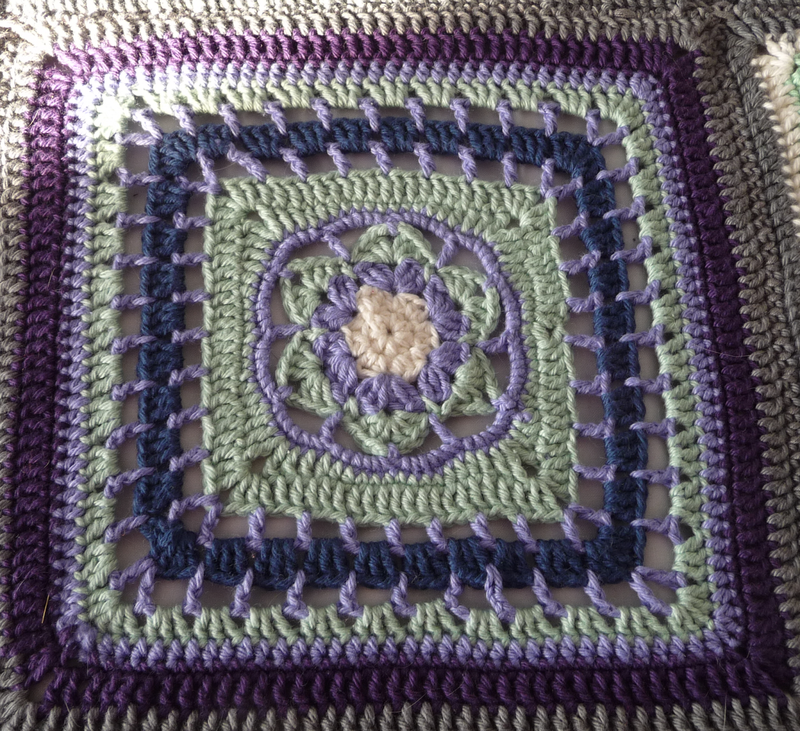 I love the fact that her entire star in the middle is one colour, if I made another one of these I would make the middle in one colour too. 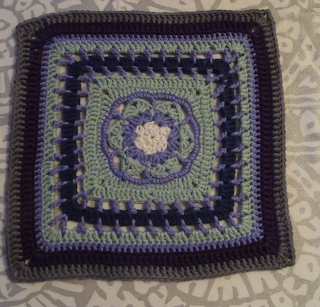 My star looks more like a flower I think because of the colours I chose. 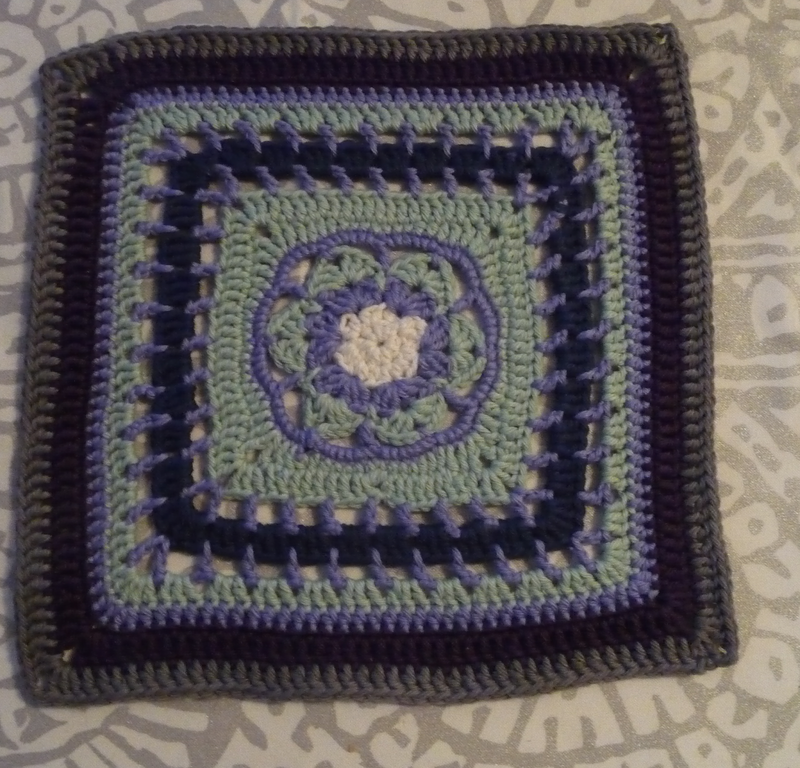 This square weighed 28 grams and was 21 x21 cm after blocking and adding of more rows.